Are you looking for an easy and inexpensive way to engage your congregation and promote your events? Tons of churches are opting for bulk text messaging to cut in-service announcement time, ditch the childcare alert pagers, and update their members on event changes and cancellations. Why are they choosing text messaging over email or social? Because of the immediacy and astonishing read and engagement rates of Short Message Service (SMS) marketing. 90% of text messages are opened in the first three minutes after receipt, and 94% are read in total. Compare that with final read rates of 29% on Twitter, 21% on Email, and 12% on Facebook, and you'll understand why so many churches are going with text messaging to stay in touch with their congregations. AIn this guide, we'll show you some ways the biggest churches around (like Saddleback) and smaller congregations alike are using text messaging, how it actually works, and how to evaluate a great service provider. Daily devotionals, Bible reading, and prayer should be a priority for your members. 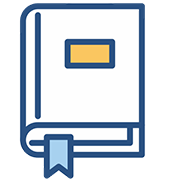 Your church can prompt congregants with text messages to make this practice a priority by sharing scriptures and quotes on a regular basis. You can hand-select verses to use as SMS or image-based Multimedia Message Service (MMS) texts or direct your contacts with a link to a 3rd-party program, such as a "read the Bible in a year" strategy. And you can use recurring settings in your mass text message service platform to send these verses next year, so you don't have to set them up again. Gathering and distributing prayer requests via text message is a great way to keep up with the needs of your congregation in real-time. If you have a large congregation, you may want to segment your contacts into smaller groups to disseminate these requests. These smaller groups may be divided up by age range, study group, or activity. When emergency needs arise among your people, text messages can be the fastest and most effective way to let others know of that need and how they can help. By leveraging your bulk text message service, you can connect church members during critical times such as loss of home or transportation, deaths, financial crises, etc. Many churches have found text message polling to be an engaging way to keep their finger on the pulse of the community. Using text-to-vote polls, church leaders are able to understand what the majority of their members want to study, the types of events they'd benefit most from, and which guest speakers they would most like to hear. Event announcements can take up a lot of time during worship services. By using a mass text messaging service, you can trim that time down and spend more time on the service itself. Text reminders can significantly increase event attendance for churches by not only refreshing congregants’ memories of the event itself but making sure they know exactly when and where to show up and what to bring with them. Craig Zuithoff, the Student Ministry Leader for a group of 400 youth at Third Reform Church, sends event reminders and notifications about twice a week. His Monday night small group location changes weekly, so Suithoff uses bulk text messaging to make sure his teens know where to go. Read more about the ways Third Reform Chuch is using text messaging in this case study. Have you been depending on Facebook to alert your members of canceled services? When you do, you’re relying on your group to remember to check Facebook, and you’re relying on the Facebook news algorithm to show the message to them. When people show up to a service which has been canceled, you can be sure to hear from frustrated people. Text messages, on the other hand, are sure to ping recipients with an immediate notification when you have to cancel services due to weather or other unexpected situations. Have you heard the saying “No battle plan survives contact with the enemy”? This saying rings true for events of every kind. No matter how much planning you do, last-minute contingencies pop up, and adjustments have to be made. This often happens with small group studies, pickup and drop-off locations for youth trips, and outdoor social activities. Make sure these changes get conveyed to attendees with text message alerts so that everyone shows up at the right location. Both church administrators and members find that regular giving through your online platform of choice is the most convenient and hassle-free method to collect tithes and offerings. Most of these giving platforms offer setup through a mobile device, so you can send text messages to members with a link to the platform to remind them to set up these automatic payments from their phones. In the 2000s, many churches started using paging devices to alert parents if nursery workers needed to contact them during services and small groups. But these devices are expensive and require upkeep and training to use. Nearly every parent, however, has a mobile phone with them at all times, so fewer and fewer churches continue using paging devices today. Instead, they’re following the lead of Saddleback Church and others who have opted to use an SMS service rather than a paging system to provide childcare alerts. How many of your attendees remember the main points of the sermon on Tuesday? Probably not enough. Many churches now use text messages throughout the week to bring a quote back to mind from the Sunday sermon. These texts usually work best if they cover a single point (not the whole sermon). Some churches also include a "Tweet This" or "Post to Facebook" option to encourage members to share these sermon nuggets on social media. For more on this topic, read Improving Communication with Your Congregants in 4 EZ Steps. If you're new to group messaging for churches, you may have an idea or two about how your church can use texting to keep your members connected and up-to-date. But you may not have considered all of the ways congregations around the world are benefiting from bulk SMS messaging. Now that you have a few ways to use text messaging for your church in mind let’s go over a few of the terms and features which you’ll use to put these plans into practice. What are short codes and keywords in bulk text message services? Short codes are five or six digit numbers which are used to send and receive bulk text messages. Short codes can be expensive to acquire and maintain (often +$10,000 per year), so most organizations opt to share short codes with others to cut back on costs. 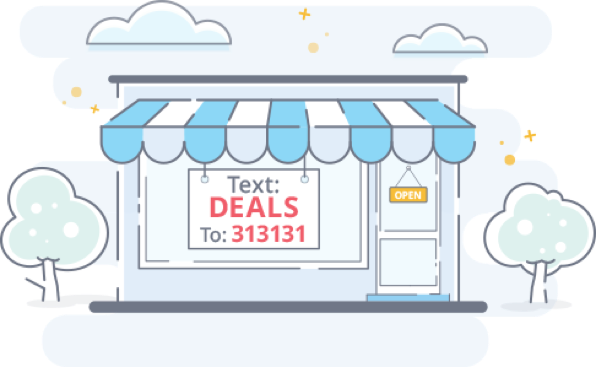 Bulk text message platforms like EZ Texting cover the costs of shared short codes and offer them at no additional charge along with their service. Keywords work along with short codes to separate texts from individuals to a messaging service into buckets. For instance, (fictitious) Grace Church might put a sign at the welcome center saying “Text ‘GCUPDATES’ to 313131 to receive church updates and event notifications.” In that example, GCUPDATES is the keyword, and 313131 is the short code. Everyone who texts GCUPDATES to 313131 would be subscribed to updates from Grace Church. While the updates keyword is commonly used, other churches are getting creative with keywords to interact with members and visitors. Saddleback Church, for instance, recently ran a trivia contest before their Easter services, which were held in a sports stadium. Attendees were encouraged to text in codes corresponding to various answers (SB1, SB2, etc.). When they texted in their answer to the various questions, they were encouraged to sign up for subscription alerts by a return text message. Read the full Saddleback Church case study here. Successful church text messaging includes time spent monitoring data as you go and making adjustments to future campaigns. The best bulk text messaging services include easy-to-use and intuitive reporting features so that you can see what’s working and what isn’t. These reports should give you options to change the types of reports to view including campaigns, keywords, and contacts, as well as tools to adjust the data date range in view. Here is a sample screenshot from our Reporting interface. One of the benefits of SMS messaging services is that you can schedule messages to go out at any date and time in the future. So, if you want to send a reminder to attend a service on Sunday morning, you don’t have to be in front of a computer at the time that the text goes out. Using this feature, you can use some downtime during the week to schedule these important reminders. In EZ Texting, scheduling group texts is as easy as clicking on the Schedule bar and selecting the date and time! While our online interface is as easy-to-use as any of the texting services for churches, you may not want to be logged into your account to monitor replies as they happen. In this case, you can activate text forwarding to pass replies to your bulk texts along to your email address or as texts to your cell phone so that you can respond as the replies come in. Mass text messaging services offer both SMS and MMS functionality in message campaigns. SMS messages should be used for important information, such as event reminders, service cancellations, and venue changes. MMS texts can be used to add flavor to the core messages, but keep in mind that not all rich media files will reach each contact. Some text messaging platforms charge more for MMS texts, so make sure to look at the pricing details before you send rich media messages. Keep in mind that bulk text messaging is a permission-based activity. Just because you have someone’s phone number doesn’t mean you have permission to send mass texts to them. The best text message marketing strategies in the world will do no good unless people have chosen to be on your text list. We’ll show you a few methods churches are using to get congregants to opt-in to receive their text messages. One creative way that churches use to get attendees to opt-in to their text messages is to use a text messaging platform to deliver sermon notes during the service. For instance, before the service starts, you can post a message on the screen to “Text ‘SERMONNOTES’ to 313131 to get today’s sermon outline sent to your phone.” When the attendee texts in, an automated follow-up delivers the sermon outline and asks the recipient if they’d like to get future church updates sent to their phone. Use your printed bulletin to cross-promote your text messaging service. Devote a section of the bulletin long-term to get members and guests to opt-in. If your church is using email or social media to stay in touch with contacts, make sure to advertise your text updates on these platforms occasionally. You can also use text messaging to advertise the other channels to make sure your people see updates no matter where they are online. Because resources can be limited and an emphasis is placed on the wise use of funds in churches, investing in a text messaging service is a big decision to which you should give considerable thought. In this section, we'll compare bulk text messaging with other marketing channels which can perform some of the same tasks. As you consider how to stay connected with your congregation, be sure to take into account how many people will actually use the channel. Church mobile apps have some nice features, but consider that only a limited number of people will actually download and use the app. All modern mobile phones, however, come equipped with text messaging out of the box, so members don't have to go to an app store, find the app, download it, and learn how to use it. Some of these mobile apps include a text alert service as an add-on, but keep in mind that a small percentage of your attendees will download the app and set up these alerts. Costs for templated church mobile apps average about $200 for one-time setup and $50 per month in ongoing fees. 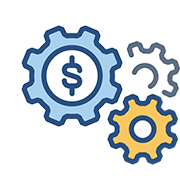 Customized mobile apps will easily top $10,000 for setup and will require a considerable investment to maintain. Email has a place to serve in almost any organization's outreach strategy, churches included. Some of your contacts will prefer to use email to keep up with church happenings, rather than other channels. But keep in mind that many of your younger contacts will opt for text over email, and a growing percentage of older generations will prefer text as well. Emails can get lost in a flood of non-personal inbox correspondence. Most members consider church messages to be more personal in nature, however, and prefer text messaging, which can be a more personal communication channel. Read rates are much higher for text over email partly because messages are necessarily short, so recipients know they will not have to spend a long time reading them. And, finally, keep in mind that texts are consumed more immediately than email—90% are read in the first three minutes. That means text will be a better channel for time-sensitive alerts such as service cancellations. Costs for email marketing from MailChimp, one of the industry leaders, can range from free for limited functionality and lists with up to 2,000 recipients to $75 per month for the full feature set and 10,000 contacts. Incrementally, the price steps up to $225 per month for 30,000 contacts, and so forth. Social media can be a super way to spread information and content to members and get the attention of new prospective attendees. By posting interesting, relevant, and timely material, you can engage your current fans and get them to share this content with their social circle. Again, keep in mind that only a small percentage of your contacts will see your organic posts on Facebook and Twitter. While you can boost these posts with payments to make sure more people see them, you don't really know who and how many will see them. You will be at the mercy of Facebook's algorithm, and you'll have to hope that your members will use these social channels in time to see them. So, like email, social media has a place in church outreach. But text messaging can serve a different purpose and be a better channel for messages which are more urgent and immediate in nature. In some ways, you can think of text messaging like the old Fedex slogan: "When it absolutely, positively has to be there overnight." When you absolutely, positively have to be in touch with your congregation right now, go with text messaging. Organic social posts are free but have limited reach. Boosted social posts can cost anywhere from $50 to hundreds of dollars, depending on the size of your following. How Much Does Church Text Messaging Cost? We offer a wide range of package pricing, starting at free for up to 100 SMS messages per month to three to five cents per text for higher volume needs. Check out our pricing here. We've been helping churches grow and maintain close ties with their members for over a decade. So, we've talked with a lot of church leaders to understand what they need most out of a bulk text messaging service. Here are a couple of considerations to look for as you try to find the best texting service for your church. Bulk text messaging is not a complicated process. So the interface of the text messaging platform shouldn't be complicated and hard to use. Over the years, we've worked to make sending mass texts as easy as possible through innovation, user testing, and analytical research. As a church administrator, you have enough to do already. Trying to master an unnecessarily difficult application shouldn't be one of them. If you'd like to see if our platform is easy to use and take a peek at our church text messaging templates, you can start a free trial today. Our sign-up process is super simple. Most church trials take less than five minutes to set up.